Soprano Christina Franco returns to the St. Petersburg Opera Company stage in this production of Tales of Hoffmann covering the role of Giulietta. No stranger to SPO, Christina has performed with Maestro Sforzini in the Maestro Series What’s the Fach and Couples Therapy. She was a soloist in Seasonal Sparkle 2016 and covered the role of Inez in Il Trovatore in 2016. She sang Musetta from La Boheme in Opera Express 2016, and she performed the role of Sharon Graham in Master Class by Terrance McNally (2015). She’s sung chorus with SPO in productions that include: Elixir of Love, La Boheme, Abduction from the Seraglio, Carmen, and Turandot. 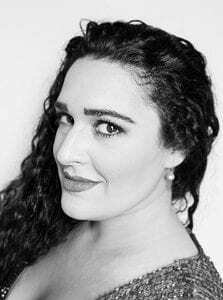 Christina has also performed recently with St. Agnes Cathedral (NY) as soprano soloist in Brahms’s German Requiem; Second Lady in The Magic Flute with NY Opera Studio; and Gianetta with Long Island Consservatory in Elixir of Love. Hailing from Rockville Centre, New York, Christina studied with Avalee Beckmann at Hofstra University and currently studies with Stella Zambalis. Christina will return to play the step-sister Lucinda in SPO’s Into the Woods.